Over a decade ago, when audio shows were still a big deal in New York, I saw a veritable galaxy of new audio equipment and demonstrations, ranging from one called the “HP Super Room,” named after TAS founder Harry Pearson, who was holding forth in the hallway to his acolytes and friends, often one and the same, to the introduction of the Continuum turntable to an early Avantgarde Trio system. But one demo in particular sticks in my mind: It was watching Dan D’Agostino display one of his new Krell amplifiers. My memory is that he played back a piano and violin sonata on a system in which speakers were placed wide apart. The audience was transfixed. None of the usual audiophile whispering that plagues many demos occurred. Then, after the cut ended, everyone sat in shocked silence for a split-second before applauding the performance, as though it had been a live one. That’s the kind of reaction that D’Agostino, one of the premier designers in the industry, could elicit. Now, from his Arizona workshop and his new company called D’Agostino Master Audio Systems, he’s once more wowed me with his new triple-threat package of Momentum series monoblock amplifiers, phonostage, and preamplifier. Coupled with the new Wilson WAMM Master Chronosonic loudspeakers they produced an unrelenting combination of grip, slam, and musicality. Lithe and nimble, they belong in the top echelon of audio products. No matter the musical genre selected, these electronics were a pleasure to audition. I ran all three separately with gear from other companies but it was clear to me that they sound best when coupled to one another. There is nothing thin or strident about the sound. Rather, it lands on the sumptuous side of the sonic spectrum without sacrificing transparency. No, it isn’t quite as refulgent as tube gear—I heard a direct comparison, for example, with the VTL Siegfried, and the differences were plain. But the linearity and silkiness of the Momentums are addictive. There is no sterility to be found here. Put bluntly, the Momentums have a touch of pulchritude that I found more than welcome. One thing is immediately apparent upon listening to the Momentum series: D’Agostino has seriously upped his game from his earlier designs. In particular, the prior version of the Momentum amplifier, while boasting considerable power, lacked the finesse and sheer gumption of the new M400. 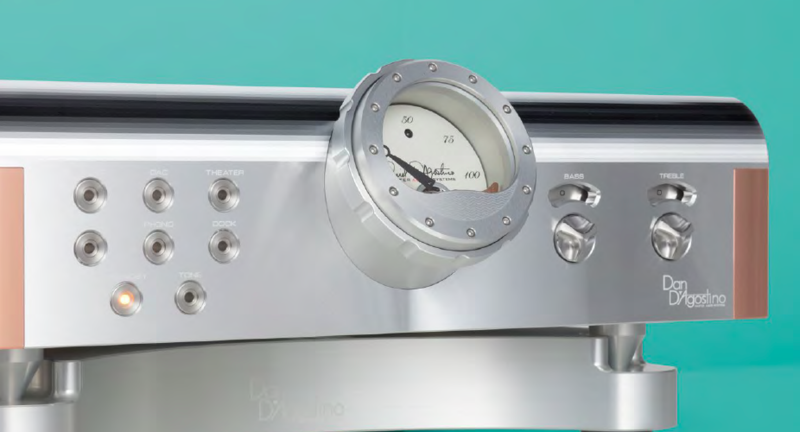 D’Agostino has taken several steps to improve the design of these monoblocks, including redesigning the driver stage to ensure that it is fully complementary by employing individual transistors for the negative and positive halves of the driver stage. D’Agostino says that this almost doubles the current that the output stage sees. 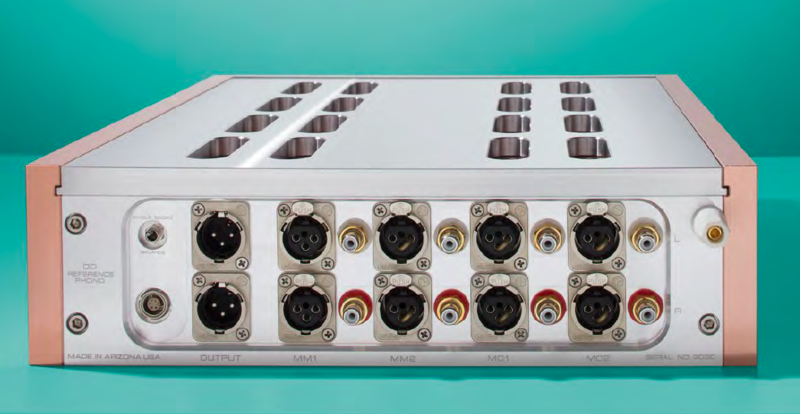 The amp also deploys a new 1800VA linear transformer, and doubles up as the impedance halves down to 1800 watts at 2 ohms, which means that it’s essentially unflappable. What I hear from the changes that D’Agostino has instituted in the amps is a remarkable degree of control—the ability to disentangle complex musical passages with great fidelity, thereby rendering them easily intelligible to the ear. And don’t kid yourself: If you’re going to run a big speaker like the WAMM, power is a must to get what you paid for. This is a speaker meant to be run full-range; SET amps need not apply. One of the immediate benefits of these measures is a fascinating blend of silky smoothness and control. I’ve often found Bach violin concertos to sound a bit congested. Even a new Hyperion CD featuring Alina Ibragimova suffers a bit from this phenomenon. But the Momentums went as far as I have heard in sorting out matters in an enticing fashion. They seem to possess a grip on the notes that helps to prevent things from flying out of control. Precision, for the most part, supplanted confusion. The orchestra sounded as though it had, in some ways, been tamed, allowing Ibragimova’s violin to emerge with excellent clarity, particularly on the andante movements of the concertos in A minor and E major.